Trico has created 60 step-by-step wiper blade fitting videos. In theory, the wiper blade is a service replacement item. But in reality, motorists often wait until the product is disintegrating before replacing it. Research indicates that 60 percent of drivers who do not install their own wiper blades cite the confusing assortment of adaptors that accompany replacement blades as the reason. Trico Products has been doing its bit to raise awareness of the dangers of worn-out blades and make the mechanics of replacing them simpler. Continuing just-auto/QUBE's series of interviews with tier one component manufacturers, we spoke to Sam Robinson, Product and Brand Manager for Trico Products to learn how the wiper blade market is shaping up and why step-by-step replacement blade fitting videos are rejuvenating the DIY market. How is your European aftermarket business shaping up this year? We've had an excellent start to the year rolling off the back of a strong finish to 2016. Our Exact Fit range has continued to grow in popularity, in particular, fuelled by more than 10 new references that we have introduced already this year. As expected with the warm weather across Europe that we have had already, with more to come, we are now entering into our quieter period on the sales front. However, behind the scenes we are busy preparing for the season with some exciting promotions planned, as well as new product launches, improved customer communications and development of our online catalogue. To what extent does the aftermarket follow the OE trends for wiper products? In terms of technologies, the aftermarket tends to follow OE developments around three years behind, as vehicles start to leave the OE dealer service network. Because of the specific nature of wiper blades now, with so many different connection types as well as new technologies such as beam blades and aqua blades, in performance and function, they have to be very similar to the original. However, in the OE replacement market, wiper blades tend to be sold in vehicle specific kits with the exact original mounting. In the aftermarket although direct fit ranges are popular where factors and retailers have space, there is also a move towards multi-clip solutions that can minimise the amount of stock-holding required. The Trico programme includes both type of ranges to allow us to offer the best solution for our customers. How do you organise your blades in terms of market positioning? Within the traditional conventional blade market, we offer blades across all market sectors with an economy offering, a mid range offering, and an OE production premium blade. With the market for beam blades being much newer, and the product being more premium, we offer both a mid-range and a high end premium OE product. We also offer a 'super premium' performance blade, Trico FORCE – this has been engineered to perform under the most demanding wind conditions at high speeds. To what extent is the performance tuner market an important segment for Trico? It's an area that we have seen grow, particularly with the development of beam blades that offer a premium performance and styling to conventional blades. This is a particularly strong area for sales of retro-fit upgrade blades, such as our Trico NEOFORM. Car and performance enthusiasts, in particular, are seeing newer vehicles fitted with beam blades that perform better at higher speeds due to the built in spoiler and are actively looking to fit this newer technology to their older vehicles. 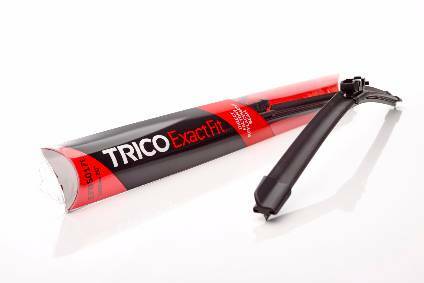 We understand that Trico Products have, for many years, offered blades that are easier to fit. Have you sold more blades to the DIYer as a result? We have seen the market begin to come full circle as a result of this. Many years ago blades were almost all the same conventional style, and were easy to buy and fit – based purely on length. The advent of beam blades meant that the market moved away from this and for a while the product was seen as very complex to stock, sell, buy or fit. "We have seen DIYers begin to buy and fit their own blades again, and more retail stores including non-automotive retailers are stocking and selling blades directly to consumers." However, as we have developed easier to fit products and short range products, such as Trico FLEX, that are designed to allow the user to buy by length again, we have seen DIYers begin to buy and fit their own blades again, and more retail stores including non-automotive retailers are able to stock and sell blades directly to consumers. How do you go about getting your message about Trico Products to garages and drivers? Trico has uploaded a number of useful step-by-step fitting videos for technicians on their own YouTube channel. 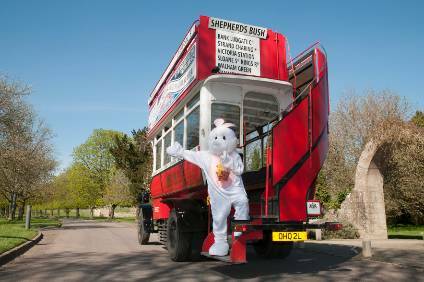 With nearly 60 videos and 10,000 views the channel is proving popular. The videos include common issues technicians or consumers have in fitting particular wiper blades and a 30-second video for common queries. The videos which many customers have found useful are the pinch tab videos on Flex, Exact Fit and Force as this is a common query. What advancements do you see in the wiper segment over the next few years? Beam blades are a new technology using a tensioned steel strip, curved to hug the windscreen across the whole blade length. They deliver better performance and the even pressure distribution results in a longer lifespan. Trico beam blades use a sealed design to help protect the blade from exposure to the elements. Beam blades are certainly here to stay. Whilst basic structure will remain the same, manufacturers continue to develop new and unique connection types for fixing the blade to the arm – the challenge for the aftermarket is to react quickly to these and ensure these new connection types can be serviced. A recent development has been the 'aqua blade', where the washer system is integrated into the structure of the blade with water running through the blade or into the end/central point of the blade to be sprayed directly onto the windscreen as the wipers operate. This reduces the amount of water required, meaning a smaller washer fluid tank can be fitted to save weight on the vehicle. We are continually developing new products either as standalone ranges or extensions to existing ranges, with a commitment to being first to market with new products as required – making sure that our customers never lose out on a sale. We have just launched blades to fit the brand new 19mm Top Lock FZ connection, used on new Toyota, Subaru and Land Rover models that was only launched last year – a prime example of us working quickly to make sure the aftermarket can service all requirements.